Finally finally my new Toshiba M400 tablet is here. A laptop decent enough to run Windows on. I can turn it around, fold it up into a neato tablet for sketching and concept art. Expect me to start posting my concepts and sketches soon. For now here is a picture of the Model I got. I have ideas about using the harddrive motion sensor to navigate Worldwind as well. Ossim which is Open Source has a Image Chaining and Parallel processing architecture, it is just not marketed with as much zeal, in production environment I believe it will perform just as well if not better due to the open source nature and complete customization/optimization abilities. 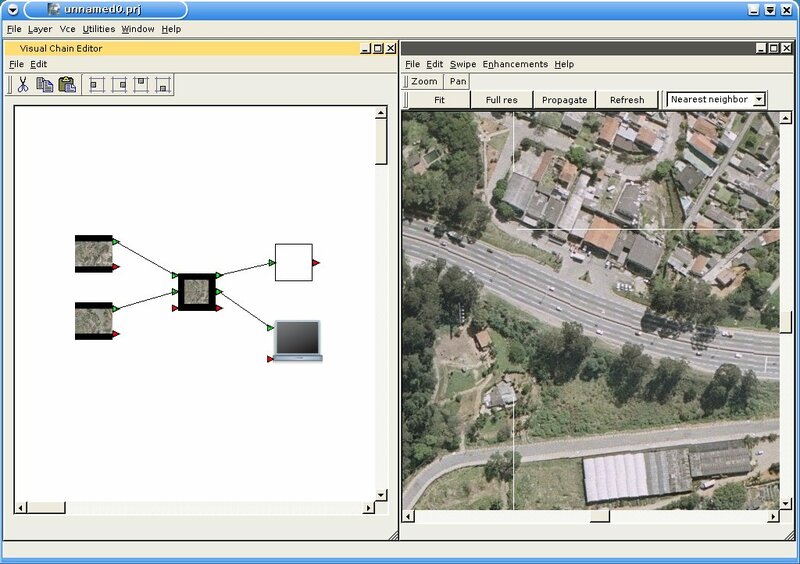 The screenshot shows Ossim being used to view mosaiced Sao Paulo imagery and to write it to a Tiff file in a parallel chain. After a week of standing around and replying to wow's about Worldwind in Jakarta I am finally back home. I have seen a lot and learnt a lot and I am really happy to be involved in a world leading open source project. Worldwind works really well due to the cached offline mode in this case where there is really bad internet or none at all. Only a few had used it before and recognized it on sight, some computer science students wanted to download it and play themselves, with the large population base there is bound to be a few talents floating around, a bit of organized development cannot hurt. Axient has made some good improvements on the look of the Embedded Browser. There are still a fair few bugs but make up your mind on what looks better and is more open. 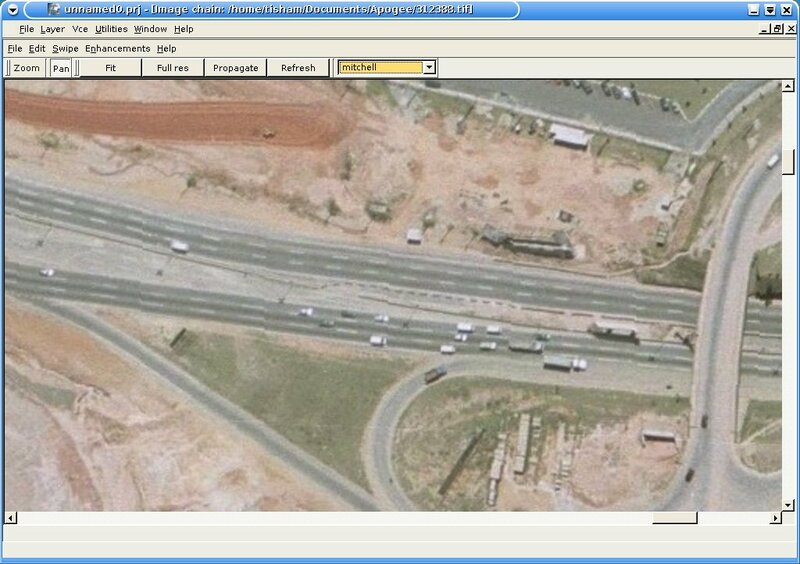 Digital Globe Imagery is only 1 Php Script away, just to make the "I can see my house" folk happy. 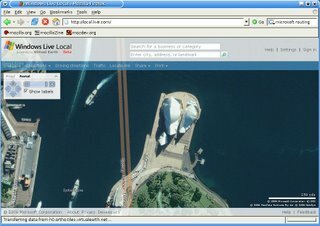 The other open source globe that I have had some contact with deserves a mention on this blog. It is OsgPlanet (Open Scene Graph Planet) or Ossim Planet or simply planet. It is currently in a very alpha state but has two dedicated and one part time developers. 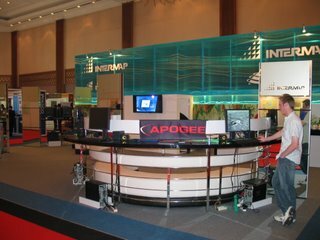 In addition it has solid graphics, remote sensing and data processing backbone, being built on gdal, proj.4 and Open Scenegraph. I have been painstakingly compiling it on linux (frustrated by some library errors). Now I have the viewer/processor application for rasters, imagelinker built. I loaded up some new Brazilian 50cm data we are processing for Worldwind in it and it looks really good. 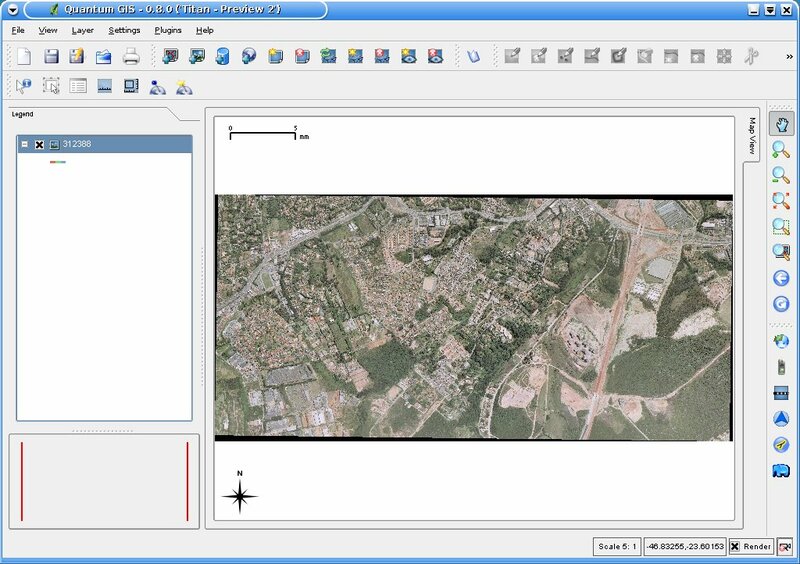 This combined with the Vector Capabilities of Qgis will make a really good application. May be I can set up a processor chain to tile Worldwind imagery and terrain in Imagelinker. This is sort of like the inside is bigger than the outside scenario. 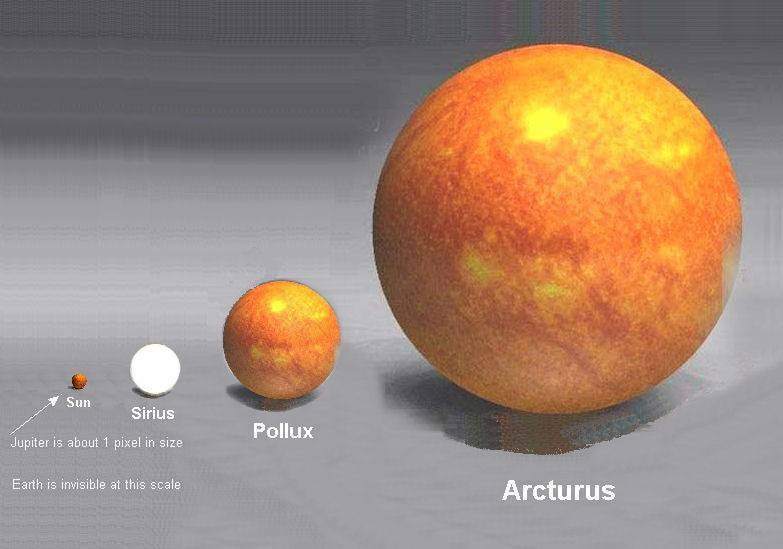 This image makes me feel so small. Yet I regularly play with Worldwind and I am sort of addicted to spinning the Globe. With the new Widget code from Nigel we can easily add time controls and control Space as well as Time in Software of course, which the entire universe might actually. Forgot to mention, now you have a HOW-TO to import your little patch of Earth to Worldwind using Dstile. 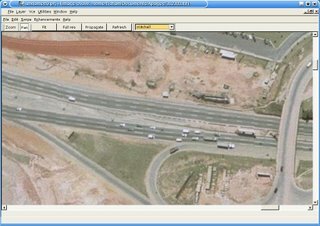 Well granted Orbview and Ikonos are not 60cm satellites like Quickbird but there are two of them now operated by GeoEye( merged company formed by Orbimage and Space Imaging) and from the sounds of it Microsoft has similar exclusive rights as Google has with Digital Globe to stream the archive of these two satellites. There are signs of this data coming online via Virtual Earth.Meaning it will transparently flow into Worldwind. Microsoft does not even have the immediate need to make 3D spinny globe to show it off. Well then again they did make Flight Sim and now Photo Synth. Another exciting weekend. Bottles of Cointreau and Bombay Gin vanishing down the throats of girls. I think Australian ( and some French) girls will beat anyone at drinking. If I remember there was an article about tracking Seal in Google Earth. Now they are tracking Geese in Mongolia in Worldwind as per this forum post. Following the thread you will realize how a plugin was developed for exactly the purpose the user wanted in days by the community. This is the flexibility that World Wind offers. Time for a screen shot. On Chad Zimmerman (Earth is Square's) request I am putting together a list of supported KML Features in Worldwind 1.3.6. These have been developed by Tim(Shockfire), Chris(dumdumhead) and myself in a rather ad-hoc and as needed basis. This list may not include all combinations or recursive capabilities. Point Placemark support: Lookat and Description pop-ups are enabled. Time based play-through is also supported. Look at the samples here. 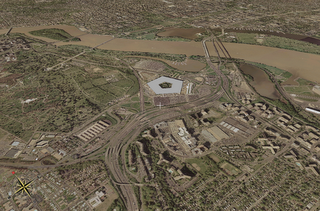 Linestring, Polygon and MultiGeometry Support: Worldwind renderer is slightly diffrent so appearances may differ. Lines may be textured on the side. ScreenOverlay support: This was developed to support legends and can be used in KML as well. GroundOverlay support: This is via the ImageOverlay code. Folders, Networked KML and Referenced KML support. Blue icon pallette for existing Yellow Google Icon set. User specified icon pallettes can also be used. 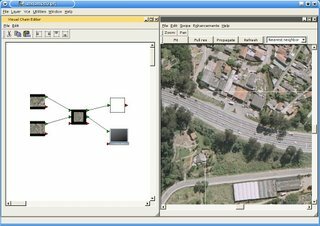 KML Drag and Drop support. I will be adding screenshots and sample files to try to this post. In addition you can load textured Direct X models. A Model tag is in the works to make this easier.May be even Collada models will be supported and all the Quake formats. In Worldwind you can also make massive Data and Terrain overlays using Quadtilesets and HigherResolutionTerrain subsets respectively. KML can also be used via a push mechanism over Jabber, UDP or any other protocol as opposed to a pure polling method. Please leave comments on features you would like to see and how you can support us. I understand that Google Licences its High resolution satellite imagery from Digital Globe and being in the Imagery field I know that raw Imagery cost a huge lot being the major barrier for access to it for ordinary people and even people in emergencies. 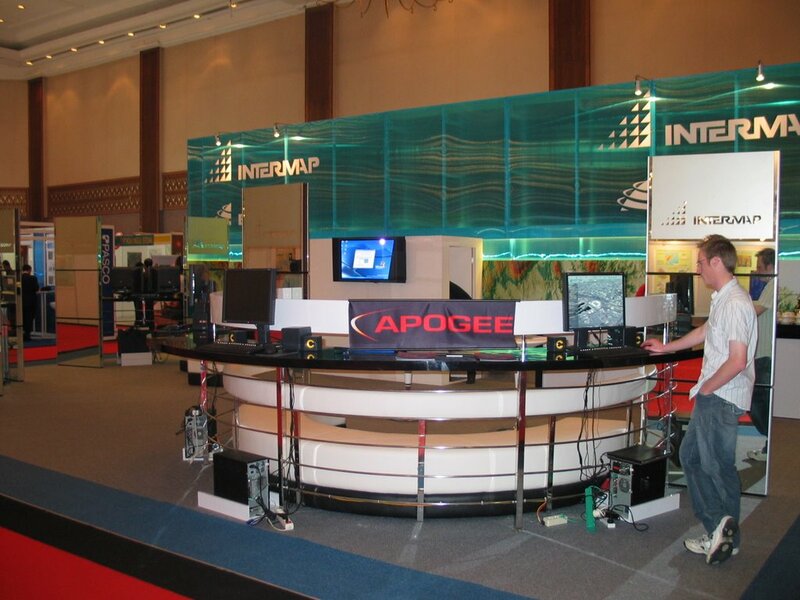 This barrier is artificially kept in place by Satellite vendors such as Digital Globe and GeoEye. They only bend back for the large scale customers such as Governments and Corporations who buy 1000's of scenes and use up the capacity on the satellite. This is a good and working business model but is not certainly flexible enough for a retail user, as I would call a person purchasing a single scene. The Imagery market place needs to evolve to be friendlier to the retail user. Google with its data delivery capacity is a step in the right direction. 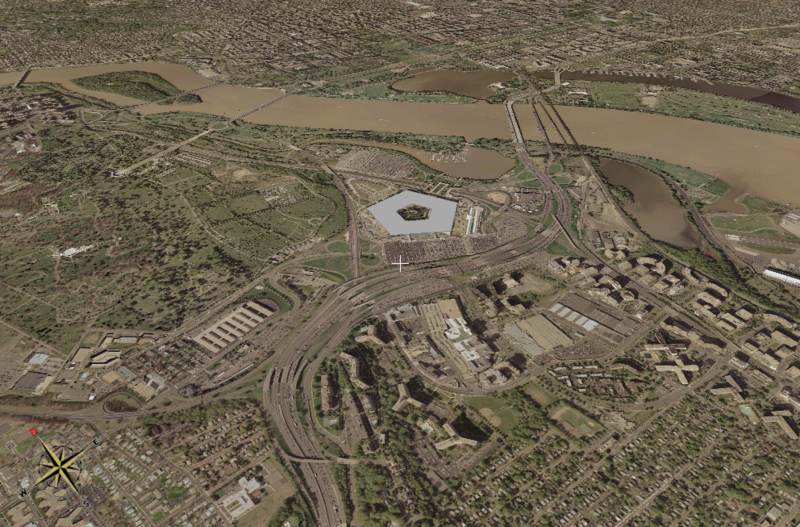 Digital Globe should see the opportunity that exists here and exploit the marketplace. The profit margins may be slimmer but the populace will be hooked to Imagery as they are to Webcomics or Phone Ringtones. This will bode well for the Next Generation satellites such as Worldview. Frankly the Imagery business could use a lot of streamlining and less back biting and misunderstandings on licence issues.